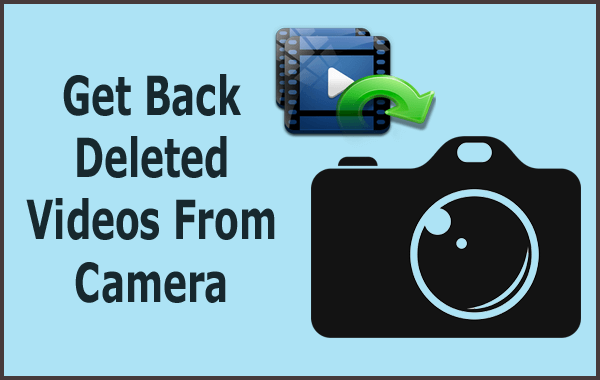 Here you will learn to recover deleted videos from camera. Try the best effective digital recovery tool to get back deleted videos from camera with an ease. No matter which operating system you are using to retrieve deleted videos from camera, it works on both the operating system; Windows as well as Mac OS. Best Way To Recover Deleted Videos From Camera With Ease!!! Recover Deleted Videos from various brands of Digital Cameras like Nikon, Samsung, Sony, Canon, Kodak and many more. Compatible with both Windows/Mac OS. After performing these steps, you need to restart the system and then connect the camera’s memory card to the system so that you can access the stored videos. 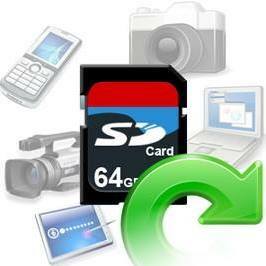 A folder that contains recovered videos and photos is created in the SD card. Now you can copy them and save at the desired location. No backup– If there is no backup available for data then loss of data is surely to appear. It is always instructed to make a backup of complete data and keep it in safe place so that if any corruption happens or the original data gets lost then the backup can help you to put the situation under control. Data deletion– While deleting the data like videos, photos and audios, it is always important to note that you have made a backup of that data and is no longer in use. If you have verified the data then delete the data which is must. But if you don’t have the proper backup then for recovery of data involves reinstallation of programs. If anyone neglect these situations then data loss situation may occur. Hardware issues– Hardware issues occur and due to this loss of data can happen and this results because of hosting system crash, due to power failure etc. So to decrease the risk of hardware failure, it is very important to keep your devices on protected environment and to use uninterrupted power supply. Antivirus– If your system has infected with virus then the data can be lost. This situation may occur when there is a failure to update the system with the latest antivirus software which may result data loss. If there is insufficient way to fix the latest threats then this infection can also pose the data loss. Natural disasters– This is one of the most causes of data loss which is uncontrollable. Therefore it becomes very important to decrease the risk of data loss by storing all the data under cloud storage device. In fact always be ready to backup your important data and keep them in safe place so that data can be protected. There is no guarantee about the memory card, USB drive or hard drive as the data loss can happen anytime without any notification. Therefore it will be best to keep your data safe before it get lost by any mean. However, mentioned below are some of the tips to avoid data loss scenarios on any storage device. Buy reliable digital device– You should never buy memory card from an unknown manufacturers which is cheap. First you should know about the card that you are going to buy and select those companies which provide good product like Lexar or SanDisk. This can also help you to prevent your data from losing. After every use, format the drive in camera– It is seen that after making several backups of the data, user format memory card on computer which one should not do. Always format the memory card in camera otherwise the files will not be written to card by camera. Label the cards– Buy some sticky color labels from store and use them on those cards which are already used. Just make it a habit to put labels on every card that comes from your camera. This can help you from situation where you might reuse the same card accidentally and all your data will be lost. Hence this process can be helpful to avoid data loss. After going through the above content of this blog, you might have noticed how you easily restore lost videos from camera with an ease. Also, you can know how you can keep your data safe and secure and avoid data loss situation. However, you can easily get back deleted videos from camera with the help of Digital Media Recovery tool. With this tool, you can easily perform digital camera video recovery. Or you can also try reinstalling the drivers or restore lost videos from camera with the help of command prompt. So, all you have to do to recover lost videos from camera is to make use of the methods mentioned in this blog and enjoy watching your saved videos with your family and friends. Learn to restore lost or deleted MP4, MKV, AVI, MOV and other camera videos in easy steps using powerful digital camera video recovery tool.